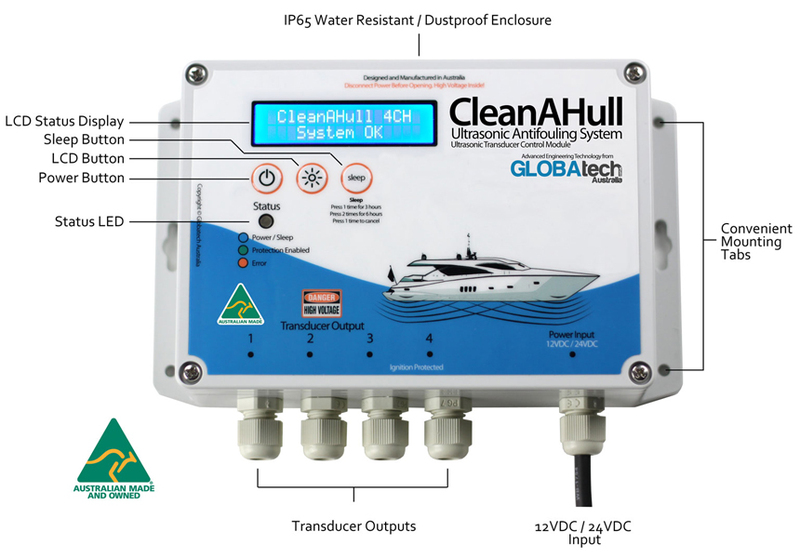 CleanAHull Ultrasonic Antifouling system is the most advanced, reliable and highest quality Ultrasonic Antifouling System available Worldwide. 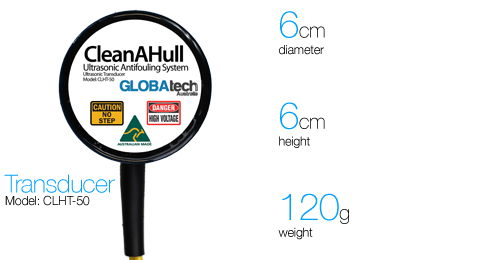 Manufactured in-house in our facility on the Gold Coast in Australia and shipped worldwide.View our detailed specifications below and feel free to contact us if you have any questions. Consumption at 24VDC are typically 50 – 70% that of 12VDC values. 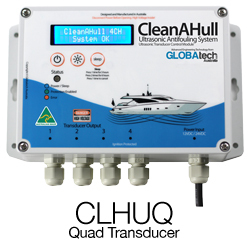 4 x CleanAHull Transducers (Model CLH-T50) 10m of cable each. 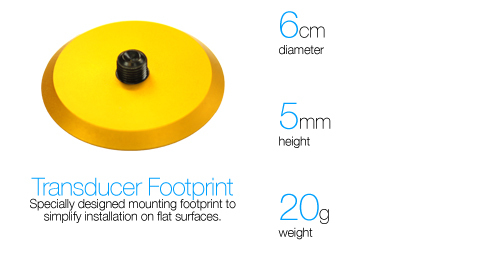 4 x CleanAHull Transducer Footprints. 2 x CleanAHull Transducers (Model CLH-T50) 10m of cable each. 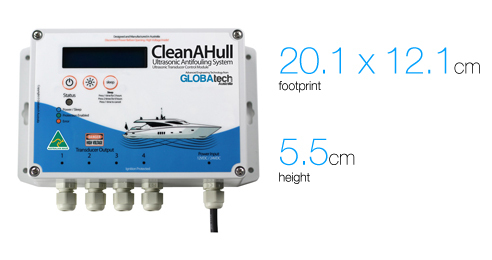 2 x CleanAHull Transducer Footprints. 4 Individually fused and protected transducer outputs. 2 individually fused and protected transducer outputs. Sleep Function: 3 or 6 Hour Sleep modes. Button on front panel of module. Press once to enable 3 hours sleep – Press twice to enable 6 hours. The unit will then countdown the timer on the LCD panel. When Sleep is operating the Status LED will flash slowly Blue Only. Transducer operation will cease until the countdown expires. Error Notifications: Detailed Error status will be displayed using the LCD display. Buzzer will sound on Errors to attract attention to the problem. Active Self Monitoring: Internal Input and Output Current Monitoring, Temperature Monitoring and Active Output control ensures ultra long operating life and best possible Ultrasonic Protection. Below is an outline of the core functions of the built in LCD display. Showing critical relevant information.